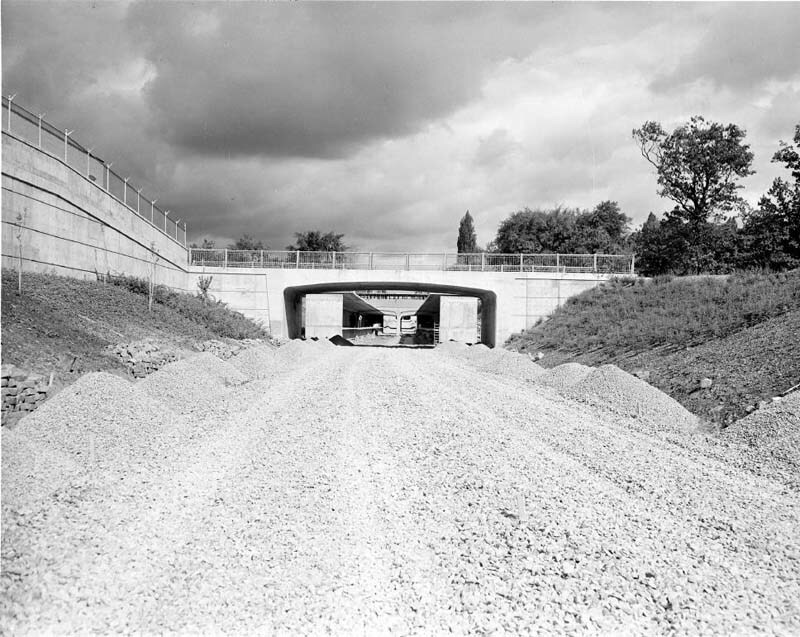 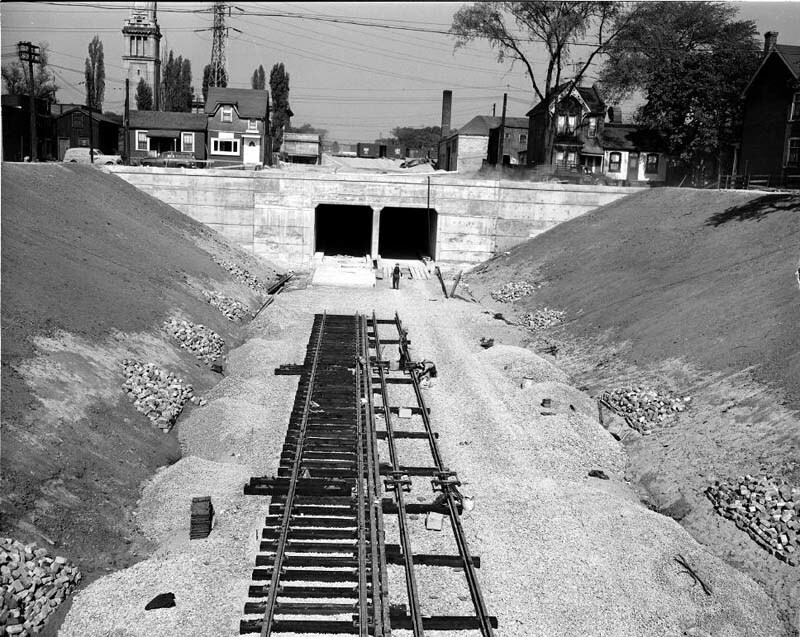 North of Bloor Street, part of the subway ran in an open cut, that is, a valley lower than the surrounding land but open to the sky. 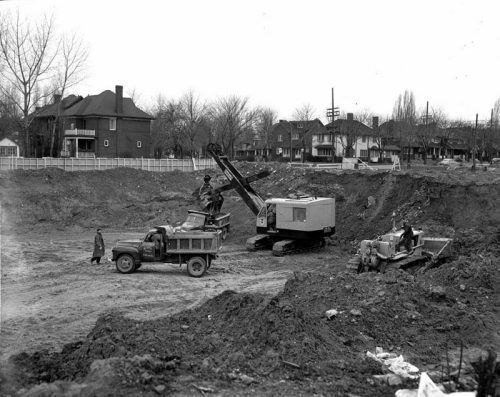 The route ran through residential lands parallel to Yonge Street, and some houses were expropriated and demolished to make way for the cut. 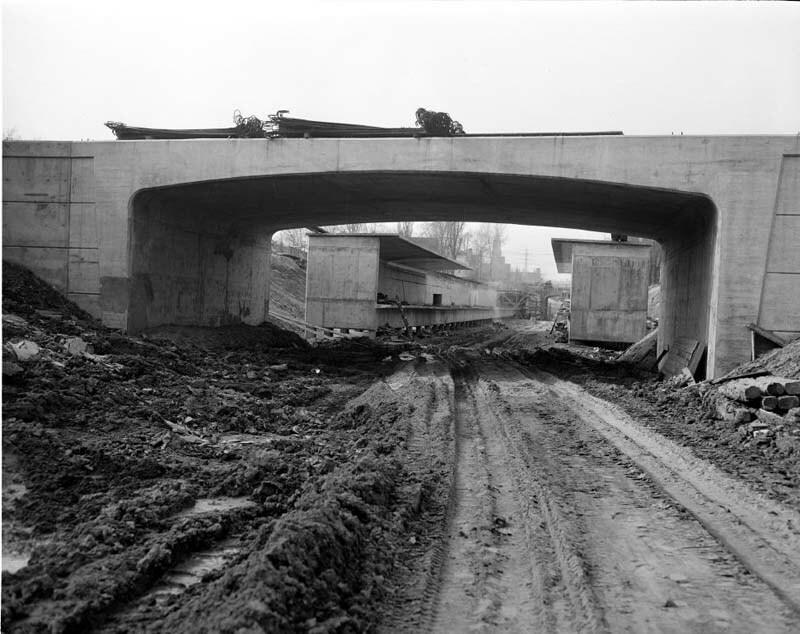 Bridges were built to allow some streets to continue over the subway cut, while other streets became dead ends. 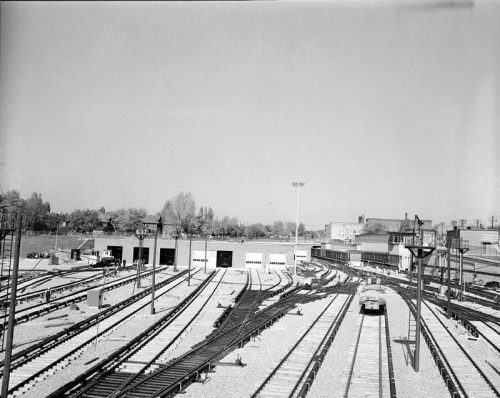 In two spots, where the subway ran under the CPR train tracks and where it crossed from the east to the west side of Yonge Street, the subway was tunnelled underground without affecting the surface. 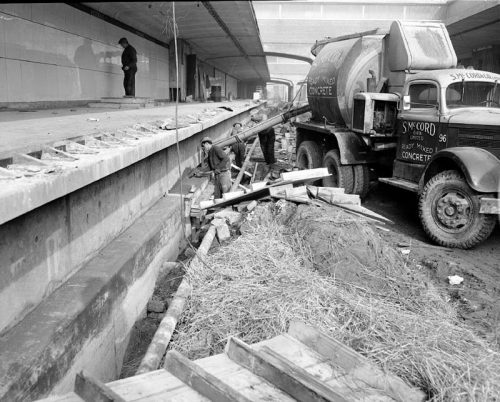 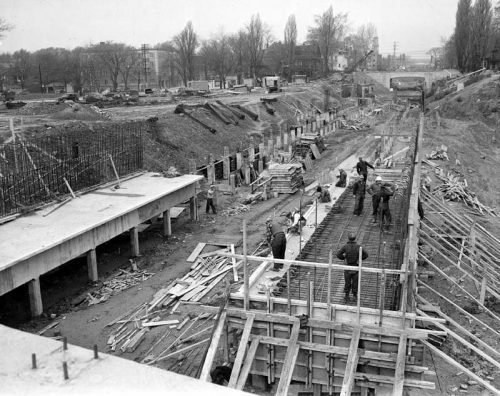 Because of the steel shortage caused by the Korean War (1950-1953), most of the bridges that connected streets across the subway cut were made from reinforced concrete. 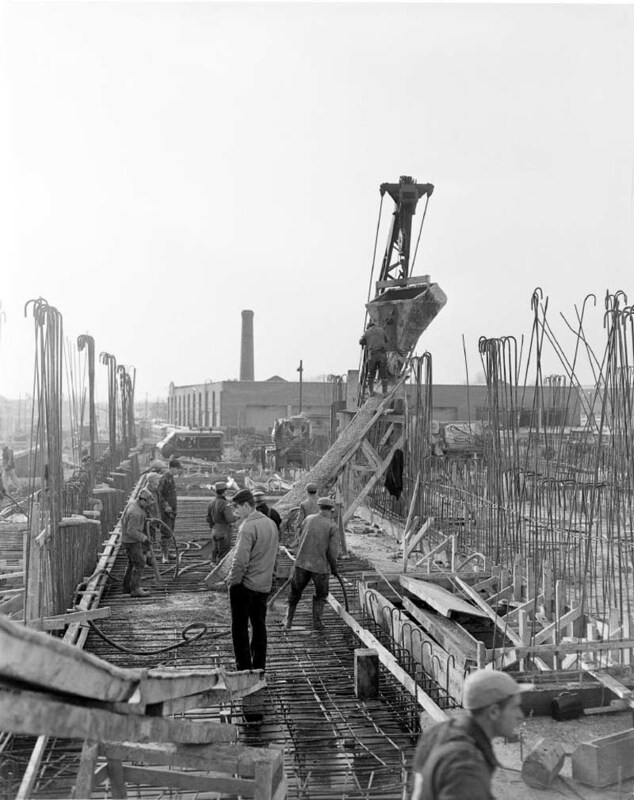 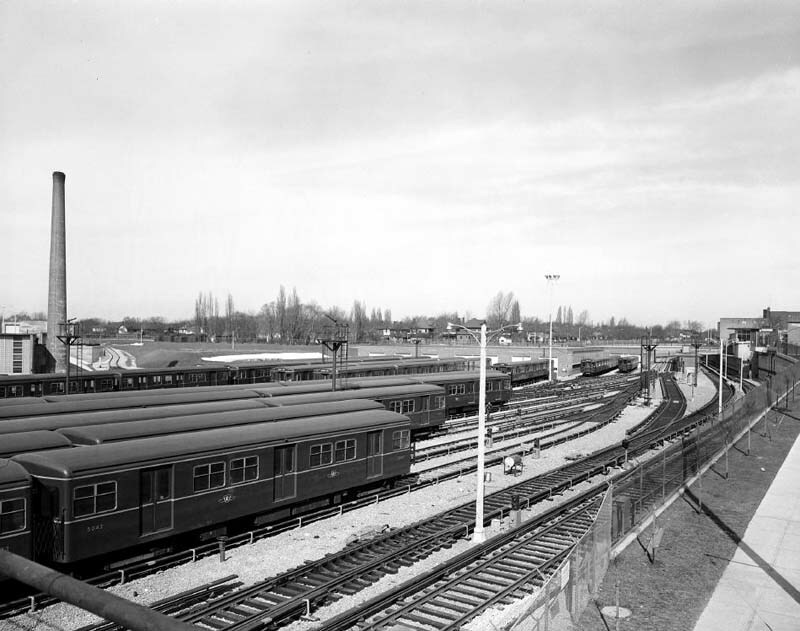 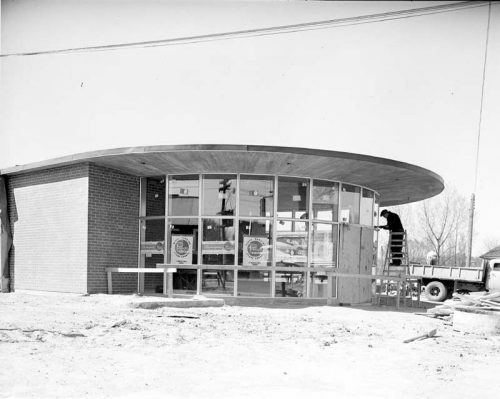 As the project progressed, even reinforcing steel rods for the concrete became scarce, and rather than using Canadian suppliers the TTC was forced to buy steel from the United States and Britain at considerably higher cost. In open cut areas such as this one, rails were set on creosoted ties over crushed stone, similar to railway tracks. 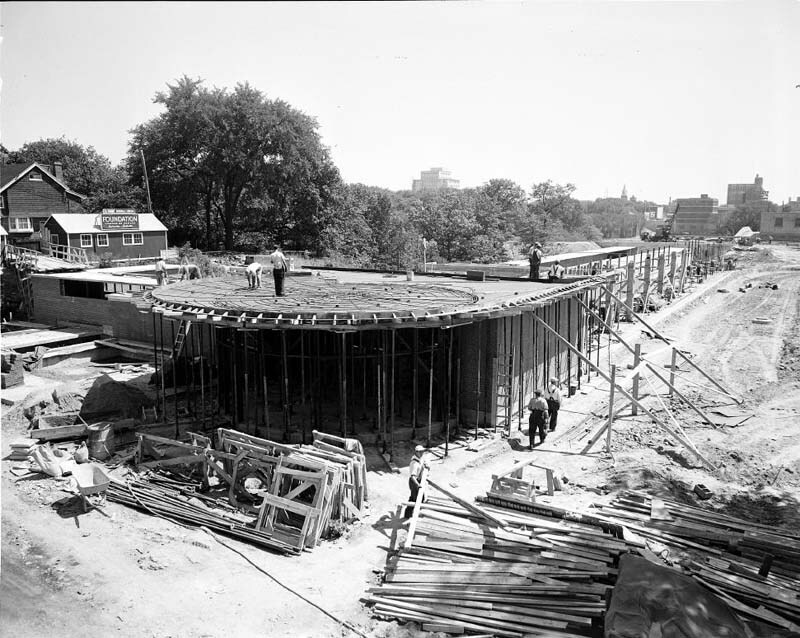 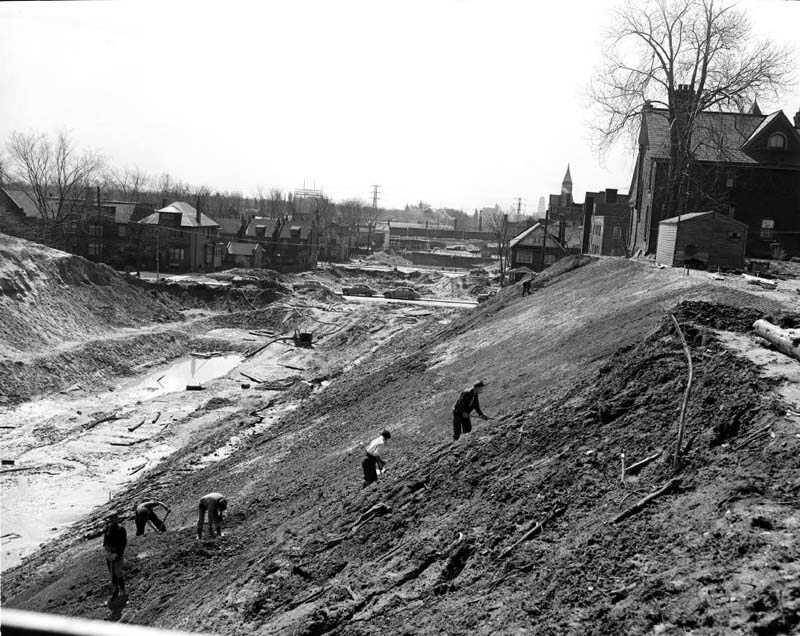 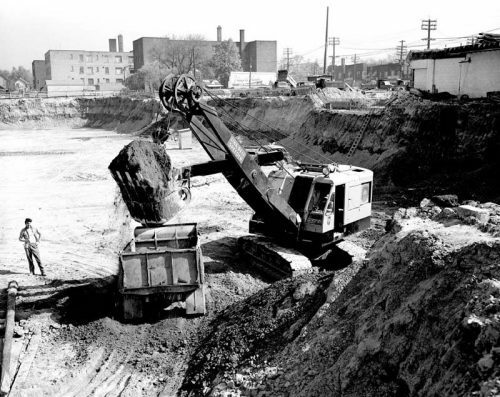 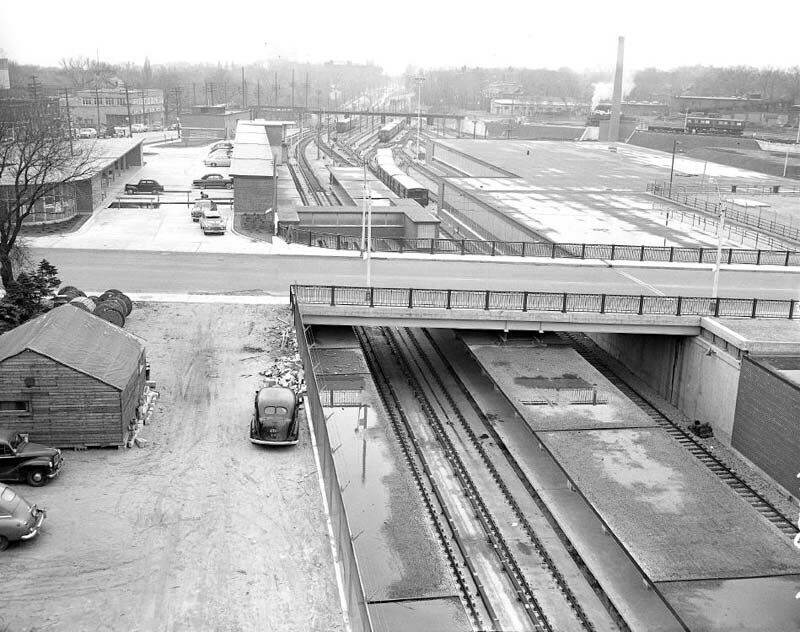 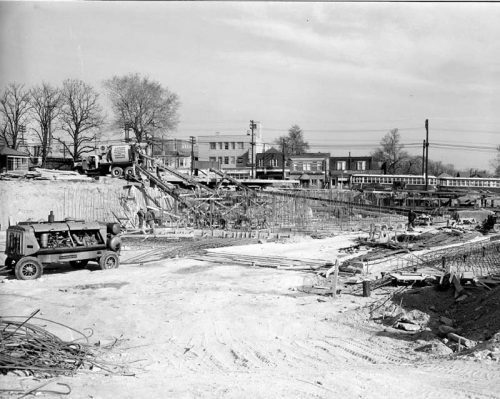 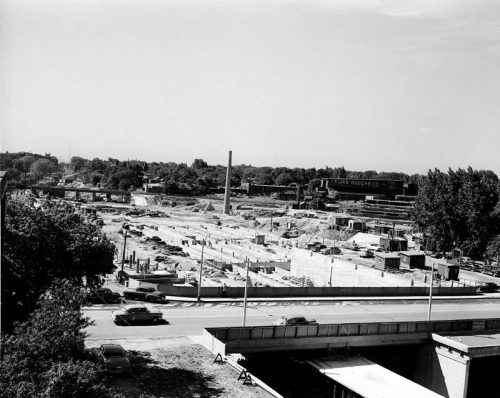 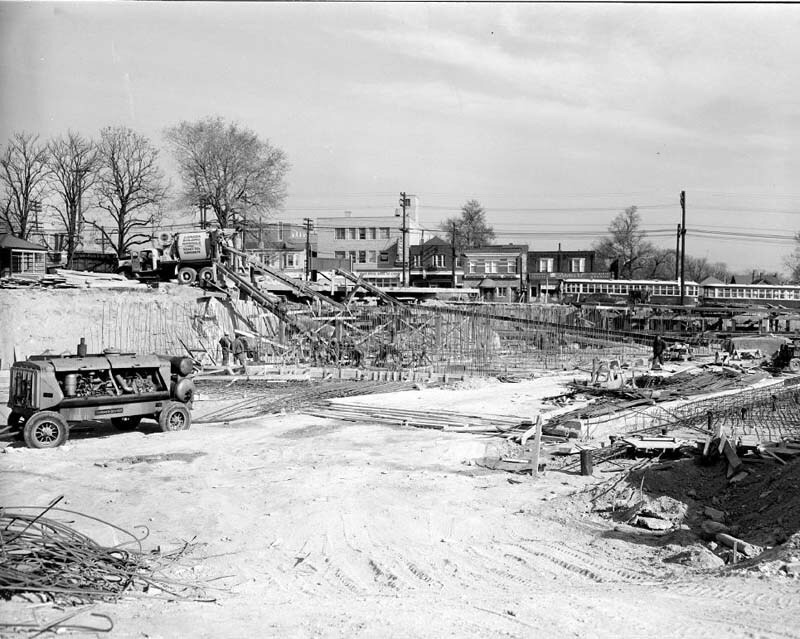 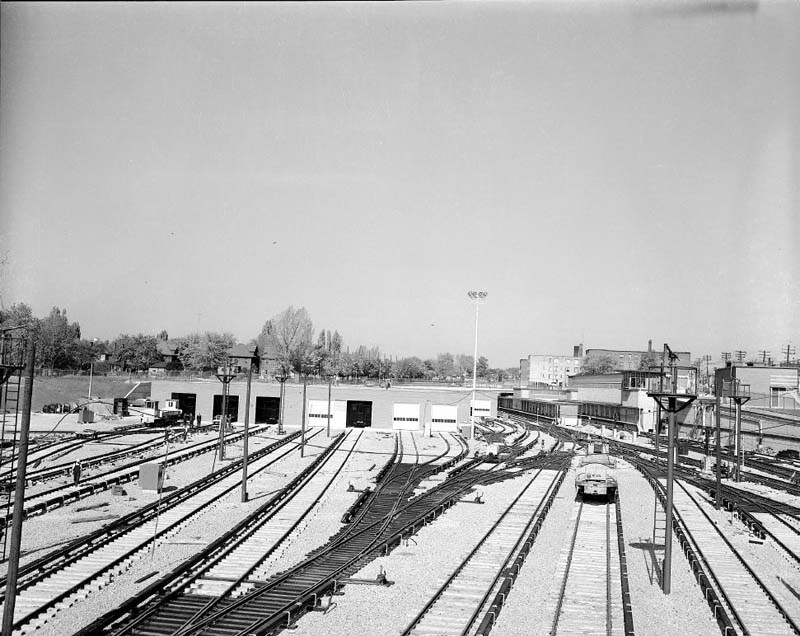 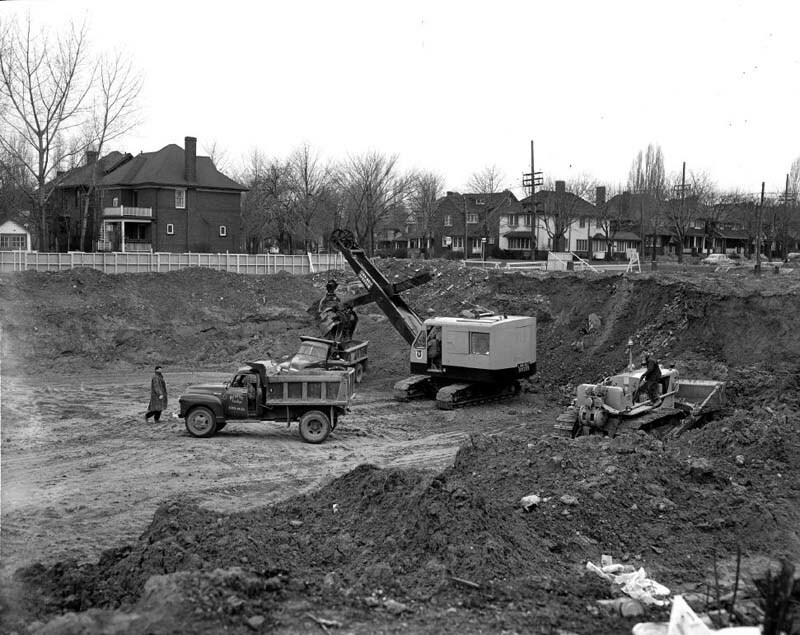 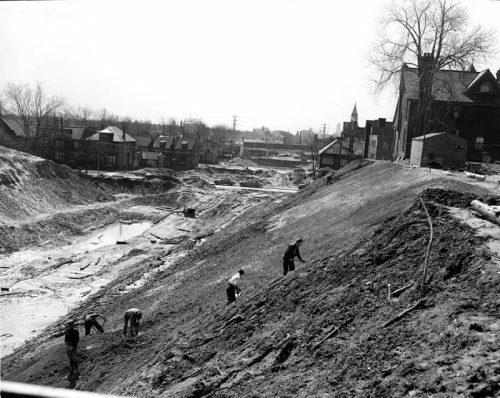 Directly west of Davisville station was built Davisville yard, including storage for 104 subway cars and a 69,000-square-foot shop equipped for minor repair and maintenance of subway cars (major work would be done at the larger Hillcrest shop at Bathurst Street and Davenport Road). 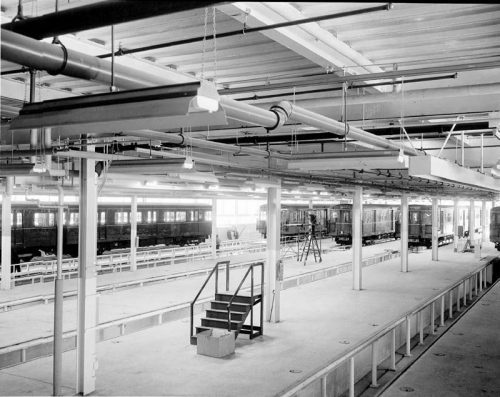 Also at Davisville station was the control panel for the automatic block signal system that used red, green, and yellow lights to direct subway drivers. 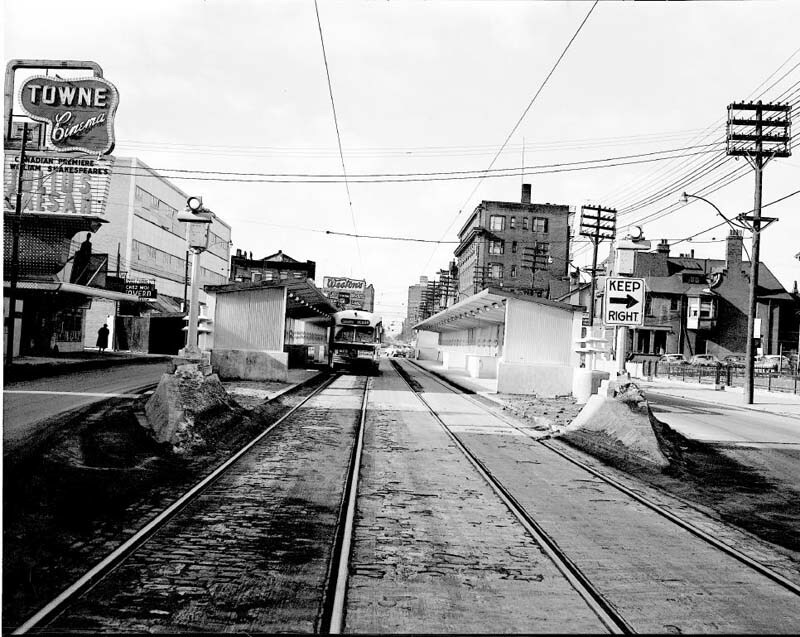 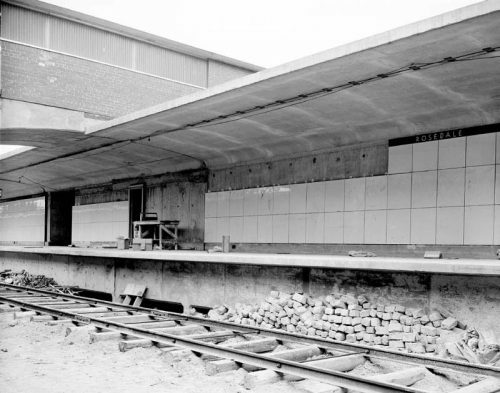 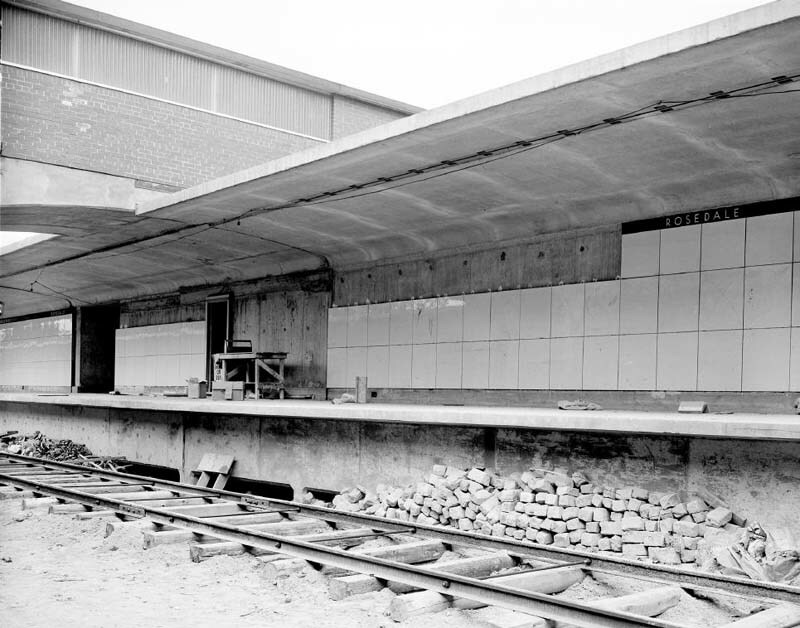 This platform in the centre of Bloor Street was removed in 1966 when the east-west Bloor-Danforth subway line (originally Keele to Woodbine stations only) was built and streetcars were discontinued on Bloor Street.